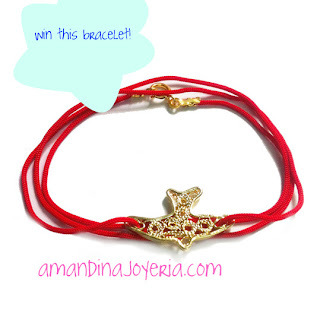 Mexicanos en Holanda por la Paz en México: Giveaway: peace in Mexico bracelet from Amandina Jewelry! Giveaway: peace in Mexico bracelet from Amandina Jewelry! Win a bird bracelet designed by Georgina Duarte and JoanaValdez and help us promote peace in Mexico! 1. Like Amandina on Facebook! A winner will be anounced on the 1st of July. *Only for residents in The Netherlands.